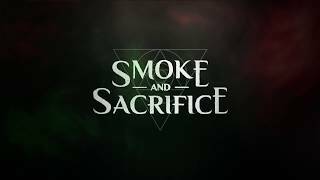 Smoke and Sacrifice is a game which has a lot of heart, emotion, and a compelling story which is underpinned by some solid crafting/survival/and whilst it has simple combat mechanics -- there's enough here to provide hours of fun. Solar Sail Games have managed to create something pretty special here, and it'll be of definite interest to anyone who loves the survival game genre. 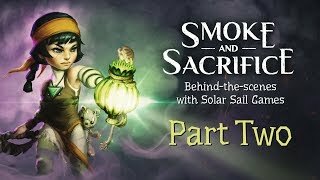 I'm talking about their game, Smoke and Sacrifice, which I've been playing on the Xbox One thanks to the lovely folks passing us a code. 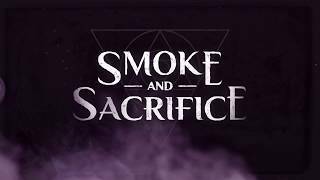 Smoke and Sacrifice is an interesting take on the genre that's been popularised by Don't Starve, the 2d style craft/eat/survive/try not to go mad game which has a steep learning curve. 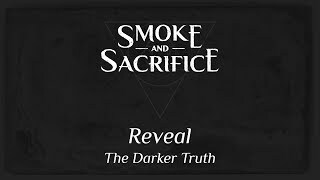 You can see some of Don't Starve's DNA here, but don't worry, Smoke and Sacrifice is its own thing. 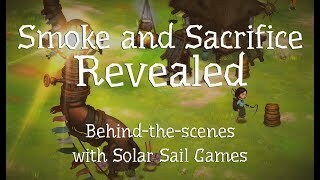 Smoke and Sacrifice is a bleak game with slight glimmers of hope. Sachi, the young mother who has a newborn son is a great hero and her journey is an interesting one. I warn you now though; the game doesn't pull punches in terms of emotional storytelling. One moment you're enjoying village life with Lio, your son, and the next your village is being attacked by monsters and you're tripping off into the Underworld to get some answers. There's more to it than this, but I'd prefer for you to experience the story without me relating all of it. The game uses a similar style of art to Don't Starve, only there's colour, and a whole slew of gorgeous animations to go with it. It's a gorgeous, if somewhat bleak (due to the Underworld) game packed with lots of nice little touches and a beautiful hand-drawn/animated art style. What begins as a simple exercise in survival turns into a story about a parent and her child, and the love a mother has for her son. Sure, there are survival elements and the need to craft and create bigger/better things so that you can extend your ability to survive as well as explore more places to unravel more of the plot. But there's a real heart here to the game, and this is where Smoke and Sacrifice shines the brightest. 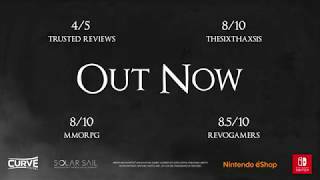 You'll encounter lots of creatures and NPCs who will offer you some insight into what's going on, but for the most part you'll be travelling and discovering on your own. You'll learn blueprints to craft things, better gear, better weapons, and the important tools to survive: a net and a lantern. The game is good at drip-feeding you into the crafting system early on, it helps you to understand what you can do and doesn't inundate you immediately with hundreds of things you can make and create to help you explore this bleak and dangerous world. For example, I mentioned the lantern. I love this, because I need to make a net, to catch a lantern fly, which I can then house in my lantern to provide light and to help me survive at night when the smoke comes out to play. The smoke is dangerous: it slows you, it hurts you, and it restricts what you can see. Fortunately, the lantern helps defeat the smoke - but like any survival game, things eventually break and you will need to keep a hefty supply of lantern flies and materials to make new nets/lanterns. 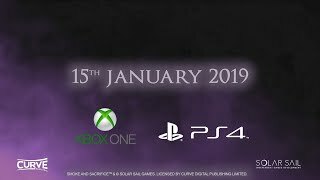 At least at the start, so you'll be fighting, running away, fighting some more with hit and run tactics until you can craft some epic style hero gear and start looking like a super-mom badass warrior-lady who will cut down anyone who gets in the way of her finding out the truth. A tip, don't try and treat this like a button-mashing exercise, you'll end up dead. Time your attacks and read the enemy attack patterns. One button to hit, one to dodge, that's it. Remember, you're a mom, not a sword-master-badass-ninja-monster-hunting-warrior (yet). There's also nuances to the monsters themselves, some can be stunned, and then milked, which you can use to heal. Again, the game does a good job of bringing all this info to your attention in a decent way. You can craft and set traps in combat. The world of Smoke and Sacrifice, or the Underworld, is a dangerous place, not just because of monsters and the Smoke - because the environments are harsh and unforgiving. You'll need to search out new equipment to help you deal with these places; otherwise they'll be locked off to you. Think of it like gear-gating in a Metroid-a-like and you've got the idea. You can craft traps to help you hunt, you can tame creatures, which help you survive longer and feel less isolated in this very dark place. Crafting is central to the game, and there are dozens upon dozens of combinations you'll eventually learn to help you craft better equipment. You'll start off with a simple stave, but eventually you'll get a plethora of badass weapons to use. The game never overwhelms you though, it ensures that by the time you're crafting the top-tier stuff, you're looking at the system as intuitive and not cumbersome. Always remember to use terminals to save, since the game is pretty hard, and it can be unforgiving if you push into an area where you're not quite prepared or you're caught out in the Smoke without supplies to keep it at bay. 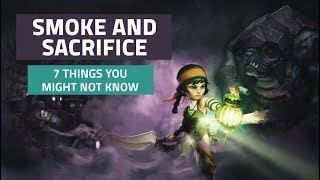 In many ways, Smoke and Sacrifice feels like an evolution of the Don't Starve 2d survival genre games, with neat concepts, lovely art, heartfelt storytelling and solid world design. It might be a little bleak for some, but overall the game is worth diving into just for the story and the sheer amount of things you can craft for Sachi to help her overcome the many dangers you're going to face together. The game has great sound design, good music, and once again I can't stress just how much I love the art style. If you're a fan of these kinds of games, you definitely need to check this one out.